Is Apple Heading the Right Direction? A recent report from Kantar WorldPanel ComTech shows that the market share of iPhone has dropped in the U.S. while it has increased in almost every other countries in the world. According to the report, the market share of the iPhone has dropped 3.3% in September compared to last year in the U.S. An article from BGR which quoted the data from ComTech’s report says that Apple isn’t really concern about the market share in the U.S, or even the market share in the world. It is now focusing on providing the better product and experience to consumers. Being the most valuable public company in the world, it is shocking for me to know that if Apple is actually not concerning its market share in the cell phone market. As a public company (or even a private company), act in share holders’ interests is arguably the priority task. It seems to me that Apple is now a little off balance in term of serving the interest of the share holders and its general customers. A article from Nikkei says that Apple is now considering to let Pegatron to join the production of iPhone 6/6Plus along with Foxconn to meet the demand around the globe. Is Apple actually should not be concerned about the market share in the U.S. as long as the numbers in other countries look good? Should they set up another assembling line to meet the demand in other countries and provide the best product and experience to its users or should they be focusing on the U.S. more? Many companies choose to employ a global strategy where different pieces of the process are completed in different regions of the world. These global processes can be accomplished in numerous combinations and it is up to the company to find the most effective one. In this article, Norwegian Air Shuttle, an airline that specializes in low-cost flights around Europe, is bringing it business model to the United States and Asia, to the dismay of U.S. airline companies. Their strategy is a complex one that has different cost-effective parts. Norwegian is “moving its long-haul operations from Norway to Ireland, basing some of its pilots and crew in Bangkok, hiring flight attendants in the United States, and flying the most advanced jetliner in service — the Boeing 787 Dreamliner.” Other airlines have tried but failed to do a low-fare approach on long-haul flights. Bjorn Kjos, Norwegian’s CEO, is confident that they can offer fares that are 50 percent cheaper than the competition’s, which will ultimately drive out competition. American Labor groups, “see it as a backhanded attempt to outsource cheaper labor and undercut competition” as well as taking advantage of the open-skies agreement made with the EU (even though Norway isn’t part of the EU). I think that the way that Norwegian Air Shuttle is globalizing falls in line with these points and it is effectively improving supply chain, reducing costs, and improving operations better than their American counterparts. They improve the supply chain by finding the most beneficial process to establish their airline. They lower direct and indirect costs by eliminating unnecessary expenses and finding the cheapest way to provide labor, and reducing taxes and tariffs. They also improve operations by understanding differences in how business is handled in different countries, and using it to their advantage. There are also strategies for competitive advantage: differentiation, cost-leadership, and response. I believe that the Norwegian Air Shuttle company is competing on cost; they are they are providing the maximum value as perceived by the customer at the lowest cost and it is creating the most demand. Do you think that the way Norwegian Air Shuttle handles their business model is considered a strategic competitive advantage or is it an unfair advantage? Why? In our class discussion, we talked about how businesses rely on forecasting to formulate their strategies. We all know that forecasts are not perfect, they just give us an idea what the sales might be in the future. In most cases, companies would try to take all the outside factors into accounts while forecasting; however, what happens when you totally underestimated the impact of certain events? It’s been more than three weeks since the Umbrella Revolution started in Hong Kong. The protesters occupied the financial district and some of the main shopping area in this small city. Countless retailers and restaurants have stood up and complained that how much loss they have during the protest. This protest started just two days before the “Golden Week”, a week long holiday for mainland China to celebrate the National Day. The time when companies stock up and getting ready for the countless mainland shoppers. For small to midsize businesses, the owners complained that they are about to go out of businesses if the protest continues. These small/midsize rely largely on mainlanders and they are holding their inventories longer than they would like and since the Golden Week is now over, they are not optimistic about the inventories will be gone anytime soon. This movement has been planing for more than one year and everyone in Hong Kong knows exactly when it was going to start. But it turns out most businesses have underestimated the impact of it. My questions are, how should a business forecast its sales under such events? What would you do about the forecasting for NEXT year? The Chicago Blackhawks and Chicago Bulls faced very different situations this summer. 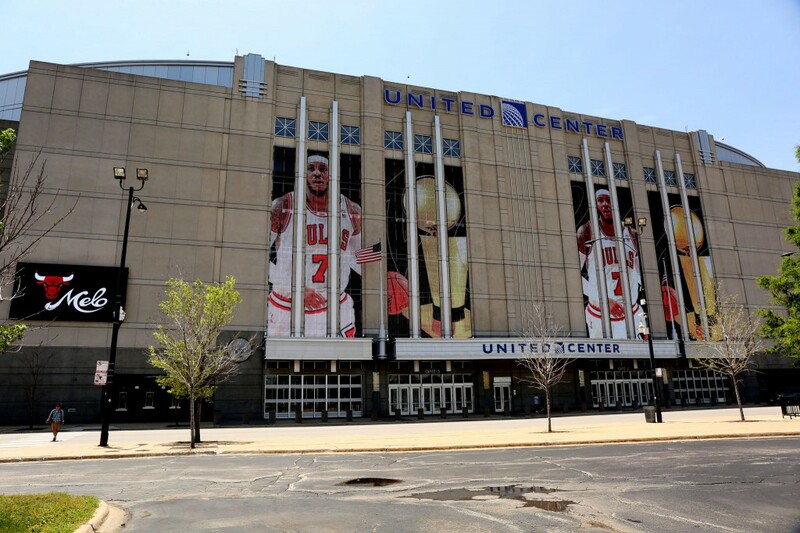 The Bulls created an elaborate presentation at the United Center as they tried to lure Carmelo Anthony away from the New York Knicks while the Chicago Blackhawks offered some of their best players to other teams. The core reason for these differences was the accuracy of salary cap forecasting within the specific leagues. The NHL fell victim to bad forecasting in 2014. Early in the year, the commissioner predicted a $71.1 million salary cap for the upcoming season. General Managers across the league began to plan their roster moves accordingly. It wasn’t until months later, when the actual figures came in, that the league realized it had overestimated the growth of the revenues; the hard salary cap would instead only be $68 million. The $3.1 million difference didn’t affect teams that conservatively reacted to the forecast, but teams like the Blackhawks found themselves needing to eliminate nearly $3 million worth of payroll. So as the team practiced all summer, the atmosphere was not one of anticipation and excitement but rather apprehension, knowing a significant player would need to be traded. Ultimately, Nick Leddy lost his spot on a championship team because the league falsely predicted the growth of their revenues. 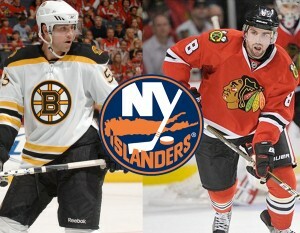 Both Johnny Boychuk and Nick Leddy lost their roster spots on championship teams because of poor forecasting. In contrast, the NBA did not suffer from bad forecasting. They were not perfectly accurate, as is expected, but they conservatively expected a 4.5% increase. By not relaying an unrealistic expectation to the general managers, the league prevented premature dealings by teams. Plus, on three separate occasions throughout the year, the league adjusted their forecast to improve its accuracy. The eventual salary cap was a 7.7% increase from the previous year. 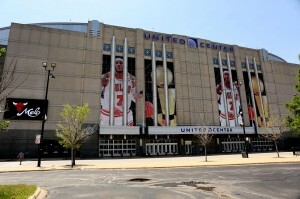 This left the Chicago Bulls with extra, unexpected cap space to try to recruit top free agents—a much preferable problem than having to shed payroll. 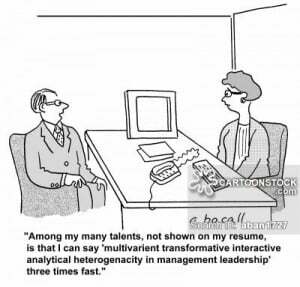 General Managers have to find the balance between optimistic forecasts and reality. The NHL should’ve considered the effect of the lockout shortened season as well as the decline of the Canadian dollar when they predicted a forecast that followed the record growth trend from previous years. The NBA did a much better job of using environmental signs such as market values of sold teams to predict their league growth. In the years to come, I’d expect NHL managers to be more hesitant in relying on initial forecasts, and perhaps adopt NBA strategies in approaching salary cap forecasts. 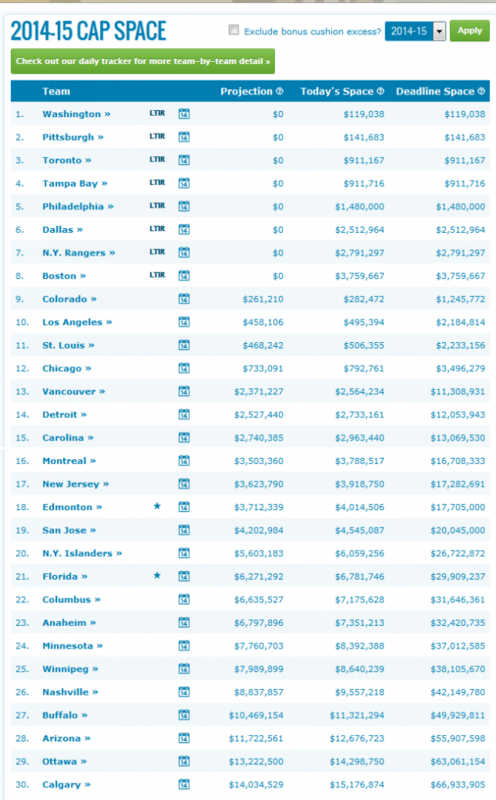 CapGeek.com shows the relationship between each NHL team and the salary cap. 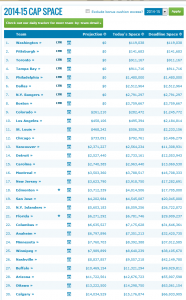 This specific image shows how restrictive the 2014 salary cap is for certain teams. The salary cap in certain leagues is an absolute maximum accompanied by severe penalties for violations. It makes it even more consequential when a forecast is overestimated. Some teams will wait until the cap is released to sign players while other teams sign players based on forecasts. It poses the question: Which is the preferred scenario? New York Jets fans are currently complaining because their team lacks talent despite having nearly $20 million in cap space to be spent while Blackhawks fans were upset with having to trade Leddy in order to be under the cap. Which scenario would you prefer your favorite team be in? Do you rely on the forecast and deal with the consequences of inaccuracy or wait until the actual cap is set to make important decisions and risk missing out on top talent? The Phantom is credited as immensely revolutionary and one of the best gaming consoles … that was never actually released. Why was the Phantom revolutionary and considered potentially “game changing” in the gaming world? The Phantom was set to have PC like performance, far more superior than any other gaming system. Why is this important? It made the potential ceiling for games in terms of speed and graphics that much higher than any other games in the market. The Phantom would not offer games in physical form. Instead it would be built with an internal direct download service that would let users download games directly from an internet connection to their console (much like Playstation and Xbox now offer). Why is this feature important? Gamers no longer had to walk/drive to the store or wait for delivery of highly anticipated games. The price of their games were set to be around $2.00 to $50.00, which would be in similar price range with other consoles in the market. The company with the task of creating the system was a virtually unknown company named Infinium Labs, who was venture-capital-funded. Ultimately their costs simply ran too high when trying to make the console actually work. Infinium labs began to have problems securing funding and had to abandon operations. What do you think was the biggest problem surrounding the release of the Phantom Gaming Console? In terms of cost, time, and performance, what advice would you give Infinium Labs if you were hired as a business consultant?